“I’ve lost three and a half stone since Easter” has been my mantra of late, and it’s true, I really have lost three and a half stone since Easter. 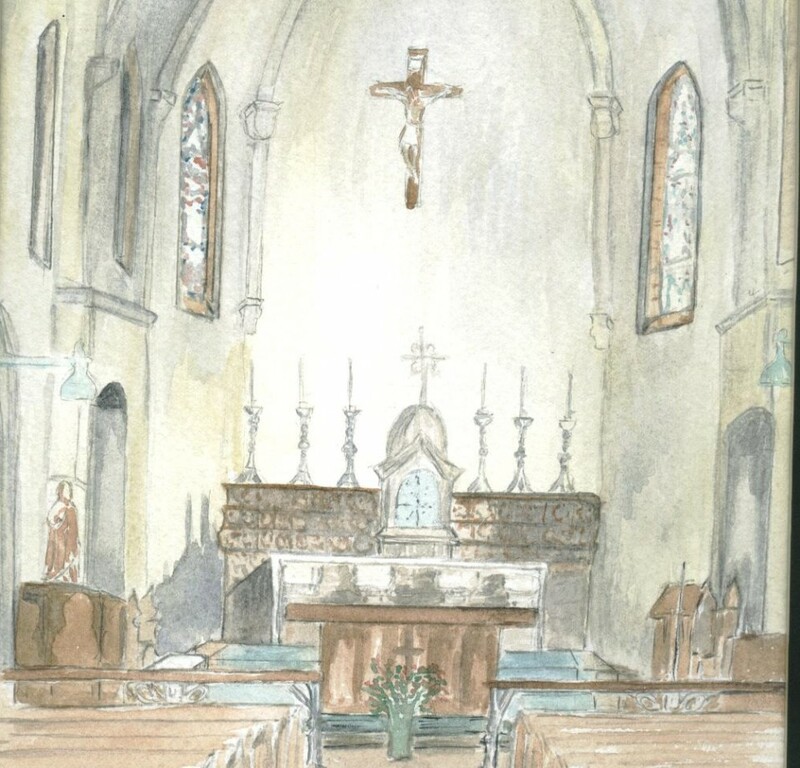 Well, Sunday 10 April to be precise, the third Sunday of Easter. On the previous evening we were at supper with some friends. When it was dark and I could see reflections in windows it seemed that wherever I looked I could see five normal sized people and one fat bloke, me. I spent most of the evening thinking just how much I needed to do something about my lardiness. The following morning I popped on the scales wearing nothing but my glasses and a worried look, I was fifteen stone. I have no idea what triggered in my head but something did, a resolve to do something about this took over at once, to the point where I almost felt possessed. My next move was to download the NHS BMI app, which until I looked for it, I didn’t know existed. I know that even the NHS don’t have the BMI thing down to a fine art but I wanted to see what a 57 year old 5ft 7in man should be. Horror, at 32.9 I was obese, clinically obese. How I actually fell into my diet routine I am not sure. I know that on the morning of 10 April it struck me that I was not hungry and did not need to eat right now. I reflected how once a year I have a liver scan and have to fast for eight hours beforehand. This usually means I am breakfasting at 10am, five hours after getting up. Sunday lunch is usually at 2pm and on many working days I didn’t have lunch until 3pm-ish so I should be able to cope adopting these meal times. I also remembered my own words, somewhat unkind, to a colleague in the 1970s who bored us all silly with his imposed diet regime. He was a sportsman and had to watch what he ate as part of his training. Oh Lord above didn’t we all know every last detail. Once when he was grizzling (again) about being hungry (again) I snapped “Well be hungry, it’s not going to kill you” and be hungry was a motto that stuck in my head. In the first week I found it phenomenally easy to stick to the routine of eating two pieces of fruit for breakfast at 10am and a light salad at 2pm, followed by my normal evening meal. I partially put this down to it being my first week back at school and I was rather busy. The following Sunday I got on the scales to see if I had done any good and was thrilled, had lost five pounds. I remember getting on and off the scales several times but there it was, 14st 9lb. I just hoped I could keep this up for second week. Calculating that if I lost two pounds a week my BMI would be ‘healthy’ by October half term I set myself a time scale of staying on the diet until then, although something in the back of my head told me I would not last that long. Also, my healthy weight for a healthy BMI is 11st 6lb, with one pound more taking me back up to being overweight. I could not see this happening but thought I would stick with it and see how for I could get towards that goal. Weighing myself the following week I had again lost five pounds, I was 14st 4lb, it felt unreal, but I noticed when wearing 38 waist trousers (worn for comfort) I needed to put my belt up a notch. The diet continued and the weight fell off, the two pounds a week kept coming, sometimes it was one pound, sometimes three, sometimes it stayed the same and on two occasions it went back up again. But it fell off all the same. By July people were commenting and my clothes looked rather swampy, in fact I joked I looked like the lad at the end of the film Big. Most of my clothes come from charity shops and I was now trawling them for smaller sizes. October half term has arrived. Last week I was 11st 7.5lb, a pound and a half to go. 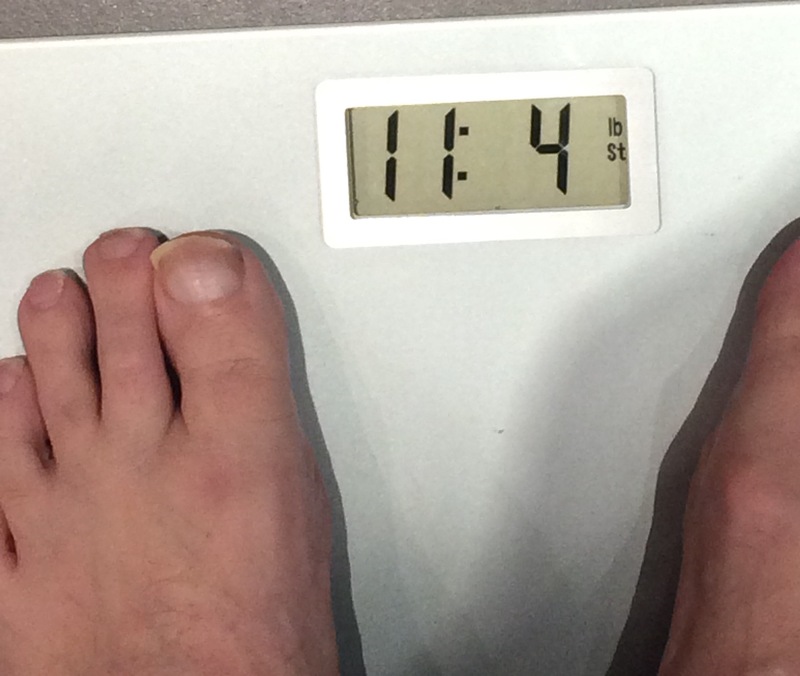 Yesterday I popped on the scales and…..nope, I had put on half a pound, so I am two pounds off my target weight. However, I am now a 32 waist instead of a 36, a 15 collar instead of a 16.5 my BMI is 25.4 and I can comfortably wear a small tee shirt. All my big clothes have been put in the loft in vacuum bags. I really do feel so much fitter and lighter, I really feel lighter. I noticed it first when having to collect a student from the second floor ‘Maths’ corridor at school. On climbing the stairs to Maths I would stop at the top and regain my breath. On this occasion I was coming back down the stairs when I realised I had not stopped at the top. I hope I can keep this up, I plan to, but at the moment I am loathe to get rid of all my clothes in case the resolve goes and the weight piles back on. I still plan to get to target weight, I’ll keep you posted. When I first weighed myself I was 11st 4.5lb, I popped back on the scales ten minutes later to see what my weight is in kilos, but it was still set to imperial and I was half a pound less.